From family recipe to family business, we continue to make our incredible Toffee to Go in small batches with only the finest ingredients and no preservatives. How awesome is our toffee? We love it, but don’t just take our word for it! 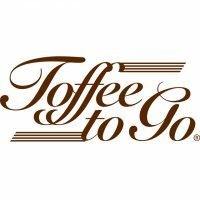 Toffee to Go has won Best Chocolate, Best Candy, Best Dessert, and Editor’s Choice awards. “O” but there¹s more! Our business really boomed when Oprah Winfrey gave our toffee her gold seal of approval by choosing Toffee to Go as one of Oprah’s Favorite Things in 2013! Whether it’s holiday gifts, business gifts, corporate gifts, birthday gifts, thank you gifts, party favors or just a treat for yourself, Toffee to Go is perfect for any occasion!